Akıllı telefon, tablet veya PCde en güzel ücretsiz online oyunları burada oyna. Kızlar, çocuklar ve yetişkinler için oyunlar buarada! Hemen şimdi oyna! Tetris® son derece basit ve tiryakilik yaratan bir zeka oyunudur. Tetris® Twist&apos;te oyunu oynarken farklı şehirlerden geçeceksiniz. Bir değişiklik yaparak Tetris® oynamanın yeni ve eğlenceli biçimlerini keşfedin ya da geleneksel biçimden vazgeçemem diyorsanız Maraton Modu&apos;nda oynayın. Dispose of all the bombs that the soldiers dug up from an ex-warzone. Your job is to control the robots that do the dirty work. Blackbeard the pirate has to collect his treasure spread out over hostile territory. Use the right path to cross the beaches and you might make it out alive! Move the pieces to recreate some super famous paintings made by art masters. Train your brain and enjoy this puzzle game! Test your knowledge about computer software in this quiz game. No matter you&apos;re using iPhone, android phone, Mac or windows computer, know more about your devices with this quiz game. Tap the Frog Doodle features hours of gameplay, diverse mini-games filled with light-hearted humor and achievements to keep you coming back for more! Classic 2048 game where numbered tiles are designed as dices. Use strategy and puzzle solving skills to get your highscore! Try to find the word matching the picture in this sweet hangman game! Every time you select a wrong letter, the sweet little gingerbread man will lose a limb. Can you unlock all levels and solve the word puzzles? How good is your knowledge of world countries? Play this quiz game and identify country flags from Asia, Africa and around the world! Test your knowledge and puzzle skills in this fantastic new Crossword game. Can you complete the crossword without needing any help? Play this classic Sokoban puzzle game and help Santa deliver the presents on Christmas day. Fewer the moves, higher the score! Enjoy a relaxing Chinese themed mah-jong game. Open pairs of identical mahjong jong tiles. Complete each mah-jong level within the time limit. Drag jewels and gems to untangle them! Use strategy and your puzzle-solving skills to untangle the gems - 72 levels of puzzle challenges are waiting for you! Customers rush to your restaurant and want yummy tacos. Prepare special tacos for each and collect money! Relaxing Mahjong Solitaire game. Combine 2 of the same tiles to remove them from the board. You can only use free tiles. It&apos;s cooking time! Bake delicious cookies and invite your friends over for a high tea party! Swipe and move the tiles on the hex map, make sure to land all tiles in the destination grid. An addicting puzzle game with challenging levels. Slide and collide Mahjong tiles into others. Drag a tile in a direction to move it. Remove all tiles to advance to the next level. Help Piggy the key-keeper free his friends locked inside! Touch and guide the colored boxes to their matching keys. Solving the puzzles to make Piggy happy! The burger bar is open; it&apos;s time to cook fast and delicious food. Pay attention to the orders and make sure all customers are satisfied! Help a medieval vigilante spread the wealth of the king among the peasants! Land the icy rocks safely on the ground and do not let them fall! An addicting puzzle game with 30 challenging levels. Draw a connecting line between the cute animals and fill out the grid to complete each level. Connect animals and solve the puzzles in every level! The creator of Flappy Bird presents another hit game: Defend the villagers from the shuriken! The enemies behind the wall are shooting them up in the air and you have to make sure they don&#8217;t land on the head of one of your villagers. Tap the shuriken to counter them. Find the missing letters and make words to collect honey for the bees! Tap letter by letter and find as many words as possible. Let&apos;s make some delicious jellies! 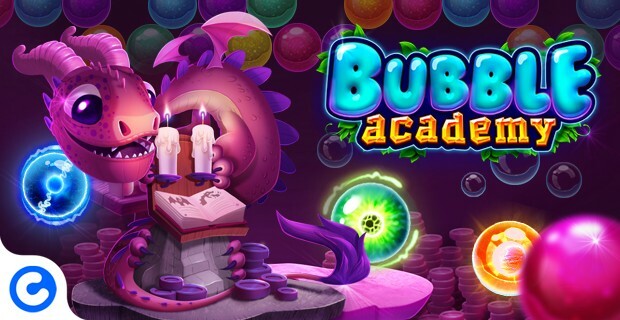 Take an adventure through the Jelly Forest and collect fantastic jelly beans! Magic Pond Solitaire is a fun and more tactical version of the classic Tri-Peaks solitaire game. Collect all of the frog-cards in the Magic Pond! Play this number quiz, from easy to difficult levels! Challenge your brain and your ability at solving math puzzles. This classic jigsaw game features beautiful photos and different difficulty levels. Enjoy the ultimate puzzle experience! George is going to propose to his girlfriend today but he cannot find the ring! Can you help him to find the hidden ring to complete the perfect proposal? Test your memory an collect the matching cards in this majestic puzzle game. Are you a knight with skill and wisdom? Help these 3 Pandas make their way through the dangerous jungle to get them back home. 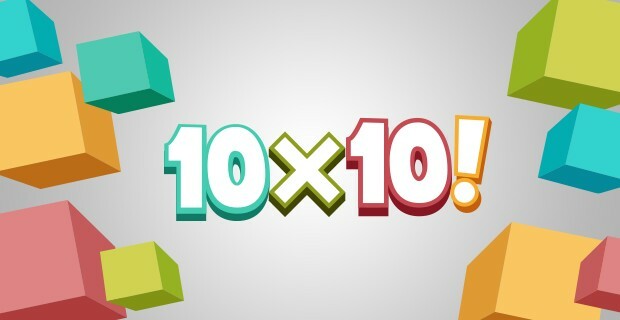 10 plus 10 is back, with more grid shapes and levels! Fill up the board with tiles. A challenging puzzle game that requires patience and strategy! 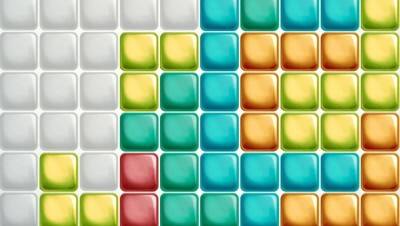 Match all similar tiles in Farm Mahjong! A cute Mahjong game with a Farm theme. Sudoku Deluxe is a challenging sudoku game with amazing graphics. Choose a difficulty setting from easy sudoku to hard sudoku and solve the puzzle. Listen up! In this fun quiz game it&apos;s all about your ears! Look at the pixelated image and carefully listen to the sound. Can you identify its source? These winter monsters prefer to live on their own. Kick out the monsters, leave only one in the field to win the level. Try all 180 levels! Love playing memory? Challenge yourself in this 4-in-1 puzzle game! Help the snakes make their way home through the the woods. Carefully plan each route. Don&apos;t let them collide! Are you a real gamer? Test your knowledge of the classic and new video games! Need more holiday destination ideas? Take the quiz and find out which vacation package suits you best! Help out in Santa&apos;s gift factory! Solve the puzzle to make sure all gifts end up in Santa&apos;s bag. Based on the popular app Cut the Rope. Dock the incoming spaceships in this station. Guide them so that they don&apos;t run into each other! Help Adam find his way through the forest. Will he be let into Paradise? Point, click and start a chain of adventures! Shoot all bubbles, 3 by 3. It&apos;s bath time! Save the clitters by clicking on boxes of the same color. Can you solve the colorful puzzle by matching collors? The less steps you take, the higher score you get! Fun interpretation of TicTacToe game! Besides the traditional 3x3 board there&apos;s 5x5. Tap/click on the board where you want to place your token. Play one of the most popular classic card games ever! 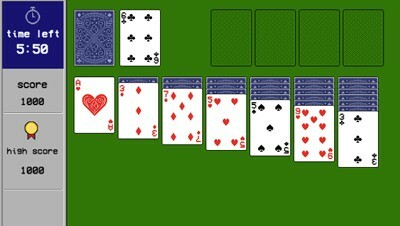 Objective in Spider Solitaire is to stack all cards of each suit in descending order from King to Ace and clear the field. Choose among three difficulties and rack your brain to solve the puzzle! Test your typing skills here. Don&apos;t worry, you&apos;ll only get better! How fast can you type? Form lines so that you don&apos;t let the colorful tiles fill the whole thing!